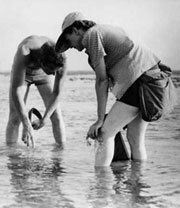 As Rachel Carson is celebrated with a lecture and a play, Eleanor Margolies considers the contrasting performances. Editor's note: The play, Breaking the Silence has been reworked for the 2008 Edinburgh Festival, and is now titled Another Kind of Silence. Attending a lecture might be the first chance to encounter unpublished ideas, or a way of saving time, with complex material summarized in an hour. A theatre performance offers a different kind of encounter with new ideas and experiences. The comparative effects of these two performance forms is brought out when they come together as one event, as in the Rachel Carson Memorial Lecture. Tim Lang’s high-speed presentation, with 136 slides showing graphs and key phrases marked with bullet points, was in great contrast to the measured pace of Liz Rothchild’s Breaking the Silence, in which a few resonant examples stood-in for Carson’s detailed scientific research. Yet the sense of Carson’s presence created by the performance seemed to influence Lang’s cordial references to her ideas, much as one might speak of a distinguished colleague who has just left the room. It was the play that gave the audience the sense that the person remembered has something more to say to us, and that their ideas continue to influence others who work in the same field. 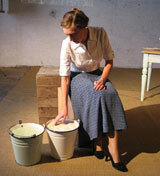 Breaking the Silence is a one-woman play, written and performed by Liz Rothschild. Three separate acting areas are established by simple objects: on the right, a lectern; in the centre, a kitchen chair and a table used for writing, with a desk-lamp and flowers; and to the left, an old enamel bucket on the floor next to a pair of weathered crates. A woman in her forties enters, wearing a blue skirt suit and with her hair drawn neatly back in a bun. She takes off her jacket and sits down beside the table. She addresses us in a gentle Midwestern accent. In Breaking the Silence, Rachel Carson speaks to us as a contemporary, almost as if giving her own memorial lecture. This bold decision allows the play to make explicit connections with contemporary issues. After describing the unsuccessful attempts by the chemical industry to prevent the publication of Silent Spring in 1962, Carson comments dryly: "I would struggle to publish Silent Spring in the United States today. New laws protect companies from the threat of defamation". Quoting from her books, articles and Congressional testimony, Breaking the Silence is a polemical and educational piece. It reanimates not only the pesticide debate, but also Carson’s more philosophical arguments for greater public involvement in the direction and use of scientific discoveries. There was a palpable ripple through the audience as Carson stated a fundamental principle: new substances must be scientifically investigated rather than assumed – on trust – to be safe. The script draws on personal letters too, filling in Carson’s biography and allowing a more intimate tone to develop. Perching on the crate as if by the sea, Carson recalls how she had to be carried ashore, her legs numb with cold after standing in the shallows for hours, observing the inhabitants of a rock-pool. She describes how she wrapped her great-nephew in a blanket and brought him down to the water’s edge to listen to the waves. As a recording of birdsong is played, Carson raises a finger, delighted: "Listen! Veeries!" The latter part of the play also touches on the personal difficulties which Carson hid from all but her closest friends. In the 1950s, she kept house and was sole financial support for her adopted great-nephew and her ailing mother. As she carried on a vast international correspondence relating to pesticides, she was being treated for breast cancer. She was not told the truth about her illness: she was unmarried, and in those days, she tells us, doctors would sometimes be candid with a husband, but not with the woman most concerned. These personal moments, using text drawn particularly from letters to her close friend Dorothy Freeman, were moving. But the qualities that made Breaking the Silence most affecting were those that also belong to a great lecture: important ideas beautifully expressed, and the sense of ‘meeting’ a person of significance. This is a tribute to Rothschild’s choice and arrangement of the text, and to her powerful characterization. At the same time, Carson’s attention to the natural world as a shore-watcher and bird-watcher, and her emphasis on the importance of ‘the sense of wonder’, invites a mode of performance which looks beyond the lecture. The top photograph of Liz Rothschild (Carson) is by Trish Wickstead. 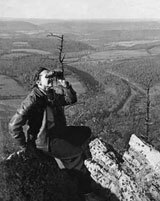 published in 2007 As Rachel Carson is best known for Silent Spring and for her opposition to the indiscriminate use of DDT, the annual memorial lectures organised by Pesticide Action Network (PAN UK), are given in her name. In 2007, the centenary of her birth, the Rachel Carson Memorial Lecture was given by Professor Tim Lang, Professor of Food Policy at City University, and was for the first time accompanied by a performance, Breaking the Silence, about Carson’s life and work. Carson’s attention to the natural world as a shore-watcher and bird-watcher – and her emphasis on the importance of ‘the sense of wonder’, invites a mode of performance which looks beyond the lecture. 1. The health of people and the planet are linked. 2. The sustainable development challenge cannot be bolted on to existing models of progress. Growing evidence suggests that progress must be redefined. 3. We are seeing the end of untrammelled choice as a policy goal. 4. The long struggle for food democracy must not get submerged by the urgency of the new environmental and societal pressures.